baptizing them in the name of the Father, and of the Son,and of the holy Spirit." ​We welcome you with great joy! Seeking Baptism for your Child? Please call or email the parish office for more information. First time parents are encouraged to contact the parish office to be paired up with a sponsor couple, for baptism preparation, while still pregnant or after having their baby and prior to scheduling their baptism. "These children are a link in the chain. 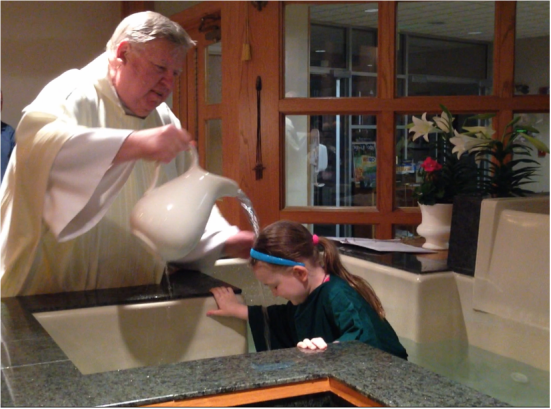 You, parents, have a baby boy or a baby girl to be baptized, but in a few years, they will be the ones who will have a child or a grandchild to be baptized. So is the chain of faith! What does this mean? I would like to say only this to you: you are the ones who transmit the faith,the transmitters. You have the duty to transmit the faith to these children. The faith is the most beautiful inheritance you will leave them! Only this. Take this thought home with you today. We must be transmitters of the faith. Think of this, think always how to transmit the faith to the children." ​Our Lord Himself stressed the importance of baptism, commissioning his disciples to go out to all nations, baptizing them in the name of the Father,the Son and the Holy Spirit (Mt. 28:19). The least understood aspect of this baptism is probably the nature of baptismal grace, and what it accomplishes. The Catechism contains a clear and well-organized treatment of this very question. 4. 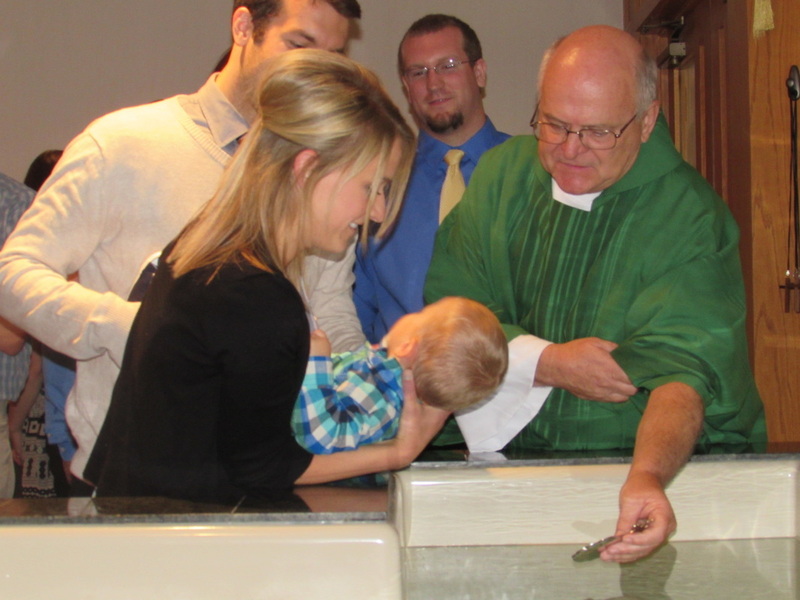 The Sacrament of Baptism. 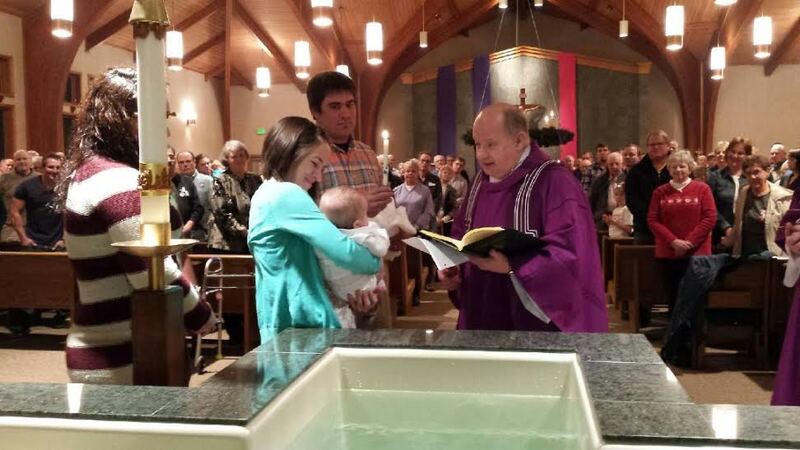 The Sacrament of Baptism is the first step in a lifelong journey of commitment and discipleship,whether one is baptized as an infant, child, or adult.​ Each year, the church welcomes all ages into the church through the Sacraments of Initiation (Baptism, Eucharist, and Confirmation) during the Easter Vigil on Holy Saturday. Does Baptism last a lifetime? Why are there no Baptisms during Lent? Is a saint's name required for Baptism?